Wouldn’t it be awesome if grocery shopping would just go away? If groceries could just appear in your fridge, with all the ingredients you need for delicious and healthy meals, plus snacks? Until some magical robot fridge makes that happen, the best we’re going to get is meal planning and grocery delivery or pick up. Yes, with meal planning and grocery delivery services, I have finally gotten grocery shopping and fridge-stocking down to four hours a month. 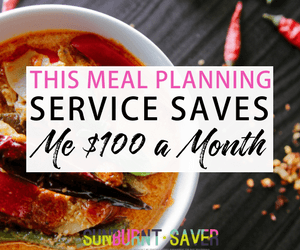 Here, I’ll share my strategies on how I choose healthy, tasty meals that everyone will eat (and I don’t even have to threaten them to eat it “or else”! ), get my groceries and stock my fridge. I finally gotten into an organized, efficient system, so it’s time to share! 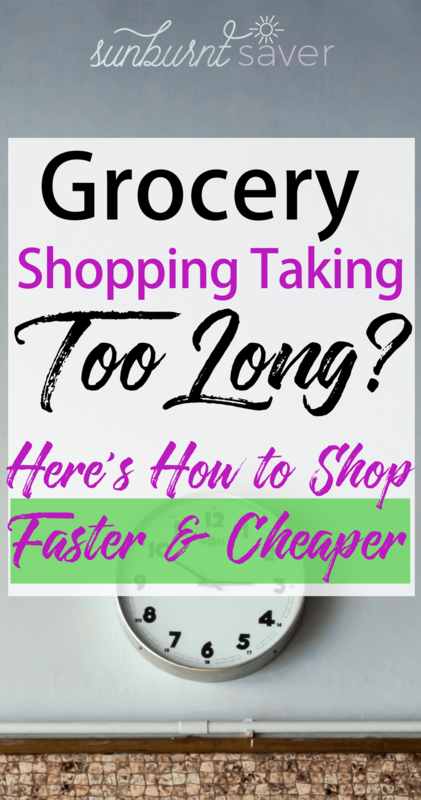 For those of us who dread grocery shopping because they know it’s an abyss that steals their money and time, this post is for you! Related: How the Dinner Daily Saves Me $100 Every Month! Note: This post is not for you if you enjoy grocery shopping. If you find going to the grocery store to be a relaxing experience and you enjoy taking lots of time to plan your breakfasts, lunches, dinners and snacks, then please feel free to skip to another post. This one, perhaps! Are you ready to get your grocery shopping on? Let’s do this. 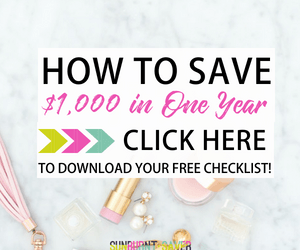 For this whole strategy, you’re going to need one hour a week to meal plan and get your groceries. My step one is to take time on Sunday, when my husband is chilling and everyone’s eaten (no hangry shopping!) to pick out some meals from the Dinner Daily. Since these meals almost always make enough for leftovers, I pick them with my husband, making sure he likes what we’re going to have. It’s important to include your loved ones in meal planning, since your goal is to get everyone fed happily, without leftovers you have to throw away because “everyone hates them.” You want your family members on board with your choices so they can’t complain when it’s dinner or lunch time. Luckily, the Dinner Daily gives you several recipes and options. If you don’t eat meat, like me, there are meatless recipes. If you eat meat, like my husband, there are recipes that, too. There’s very little chance someone would not like the recipes from the Dinner Daily! One important thing: throughout the week, make note somewhere (I do it in my phone, Notes app) of what you need to order for breakfast and snacks. For us, staples are eggs, oatmeal, and coffee creamer. Having “need to buys” in your phone will make sitting down to order groceries so much easier and more efficient! At first, you may need to go to your fridge and pantry to check to see what you need. You may also want to check in with your family to see if there’s anything they need for the upcoming week. Eventually, you’ll get it down so that it only takes you about 5 minutes a week to think through the staples you need to add to your grocery list. All in all, it takes me about 15 minutes to get a list of what we need for the upcoming week. The Dinner Daily gives you a list of grocery items to buy, so lunch and dinner are generally covered. I might also make a note for “pizza Friday” or something, or add wine to the list if I’m feeling fancy. 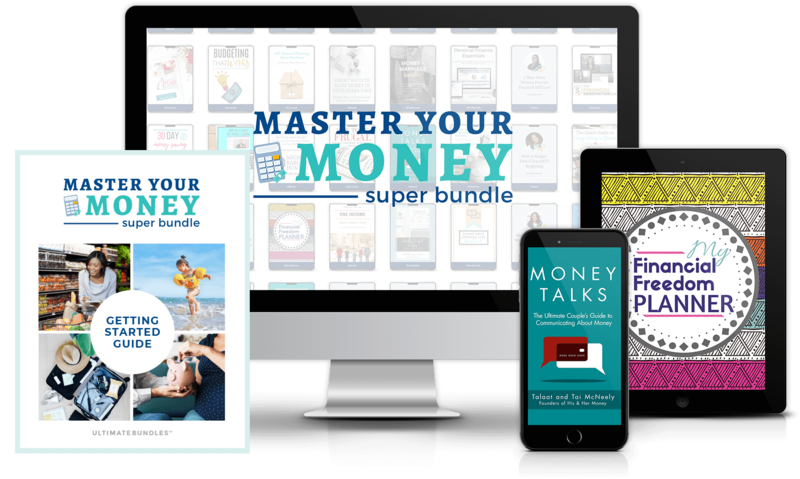 This 15 minutes is the whole week’s groceries, breakfast, lunch and dinner planning. Done! Don’t go to the grocery store. Step two calls for you to order your groceries. There are several options for this, including your local grocery store (if they offer delivery), plus Amazon’s Whole Foods delivery and InstaCart. You can read about these options and more here. Don’t forget grocery stores, like Walmart, that offer grocery “take out.” Basically, you drive there, but they bring the groceries you ordered to your car. No walking in and dealing with grocery shopping! But you’re also there in case you forget something and have to go in anyway. I order on Sunday night, right after I’ve meal planned and gotten my grocery food list set. In some cases, you can get your groceries delivered that day, but I usually schedule them for the next day (Monday) after work. Pick your grocery store and delivery option (I actually choose Fry’s, which means I drive and they bring it to my car), then order your groceries based on your list. I really love Fry’s grocery ordering system, because they include coupons in the search! Phoenix is a huge city, and driving even to the grocery store “around the corner” takes me about 10 minutes. Another 10 minutes to load the car, and 10 minutes to drive home – done. A week’s worth of grocery shopping done in a 30 minute round trip drive. That’s it! Total it takes me 30 minutes to meal plan and order, then 30 minutes to drive and pick up. If you have your groceries delivered, it can take less time! If the store is out of one of your ingredients or you forgot to add an ingredient to your list, you will have to go in and that could take more time. 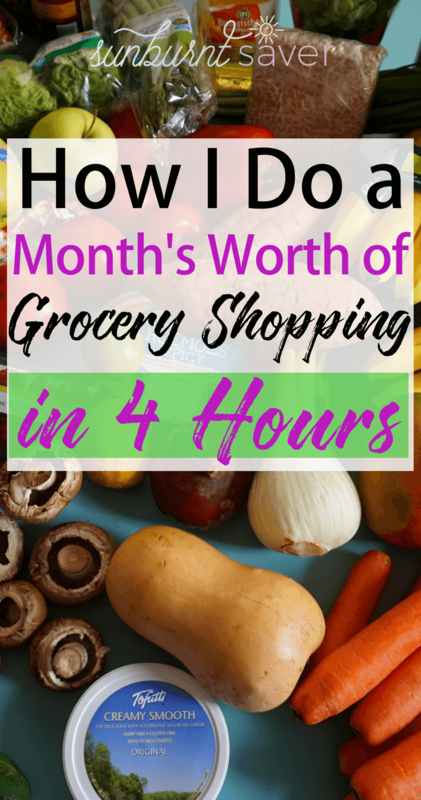 But overall, it takes me just one hour every week to meal plan and “go” grocery shopping. One thing that used to frustrate me with groceries was the waste: I’d buy food but for whatever reason, we wouldn’t eat it and it would go to waste. The problem was I was making good meals, but I would forget to include the salad I bought, or we’d go out to eat and then the leftovers would spoil. My solution? Move all the “old food” up from the bottom of the fridge to the top. This works with any type of fridge: side by sides, freezers on top, freezers on bottom. Whatever food is hidden in the depths of your fridge, bring it to the very top, where it can’t be missed (if the top of your fridge is hidden, put the “older food” in the middle, eye-level). That way all the “new food” you bought grocery shopping goes to the middle/bottom, and all the old food that really needs to be eaten is right at eye-level. Before you pull out new lettuce for a salad, look at that old lettuce or spinach and eat it first. I move up all the old food before I meal plan on Sunday night. This saves me from ordering duplicates of things, like spinach or carrots, because I know we have some old carrots that can be used in the upcoming week’s meals. Another solution? Stop eating out so much. If you consistently have leftovers going to waste, and you like the leftovers, put a hold on eating out or plan around it. I know my husband likes to eat out on Friday or Saturday nights, so I make our last big meal with leftovers on Wednesday, so we have leftovers Thursday for lunch, a light dinner on Thursday, Friday a sandwich for lunch, and Friday night we eat out – and I don’t have leftovers to feel bad about. Finding a great restaurant to eat out at now and again can be a great convienience for the family. Having a look at somewhere like http://sofiaburwood.com.au/functions-menu/ could help you get on your way to finding a new restaurant that is loved by all members of the family. 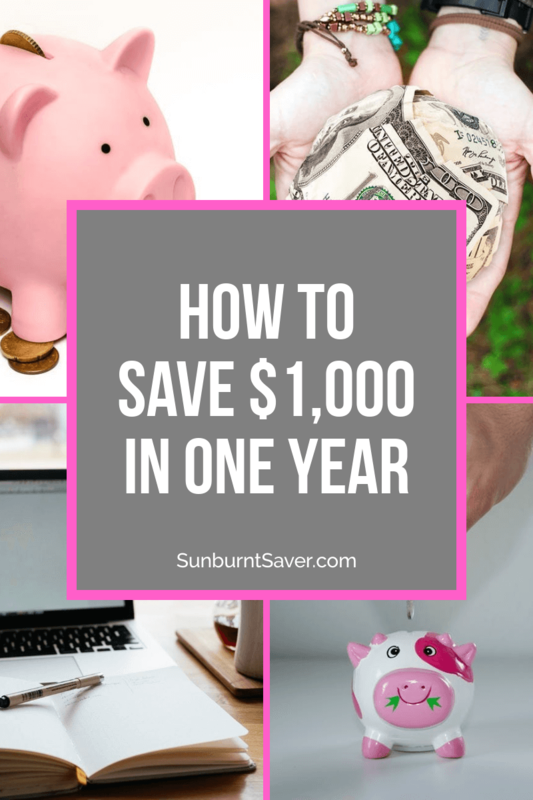 With this strategy, I save time, money and have drastically reduced how much food we waste (which also saves money!) Do you think this strategy would work for you? 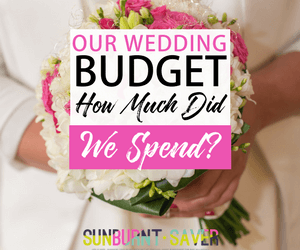 How do you save money or time on grocery shopping? Let me know in the comments! If you like what you’re reading, follow me on BlogLovin! The tip about rotating food in the fridge is a solid tip. The kids will only choose things right in front of their faces. If you put new milk in the front, they’ll open it, and you end up with 3 open cartons of milk at 3 different expiration dates. I like the rotating idea. I have always debated ordering food at walmart and picking it up. This would stop me from buying to much junk food. Also i take my dog on walks at the park by walmart but never want to leave her in car when i shop. This would be ideal. Its time to give it a try!